When you need to improve your credit history, it is not easy to decide which company and methods to use in order to gain the proper results. 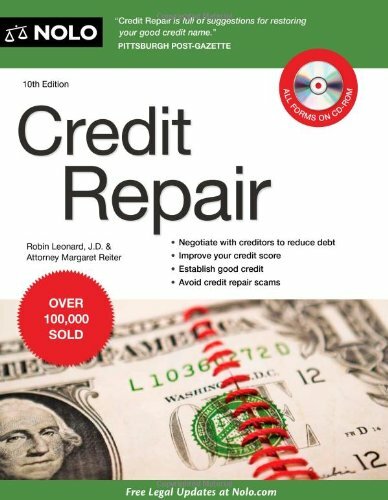 This article will provide you with tips and advice concerning the credit repair process so that you will feel confident about what you are doing. 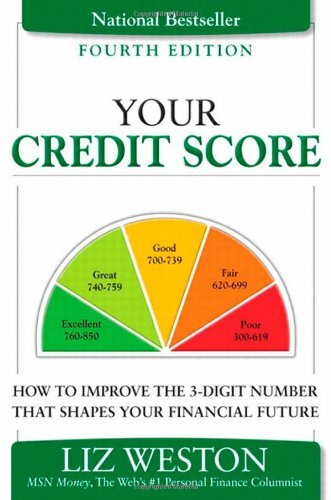 First of all, in order to help repair your credit, you must know what is on your report. There are three different major credit bureaus (get the info), and you need to get a copy of your credit report from all three of them. Not all of the information is going to be the same on all three reports. You need to compare information, and you need to decide what is wrong and what is right on each report. If you do dispute any information, you have to do so individually with each credit bureau. After you obtain your reports from each bureau, it is imperative to review them and look for any errors. If there are errors, you must dispute each error with each credit bureau individually. Each bureau has different ways to submit disputes, and in today's world, it can be as easy as submitting an online dispute. While you can usually submit disputes online as well, it is a good idea to submit them in writing too. Besides, you are going to want to submit the dispute to the original creditor as well. This constitutes being thorough, and it is the best option as far as communication about a dispute especially when your credit is at stake. Next (and this is important to keep you from having to repeat these steps later on in your life), cut up your credit cards right now! There is a healthy way to use credit, but if you are in this situation, you are not ready to do so. Cut up those credit cards, and do not plan on using them again. Make sure you set up payment reminders in order to make sure you pay your bills on time. This will give you that extra push, and it will save you from late fees and relapses into living above your means. Even better, set up automatic credit card payments so that as soon as your paycheck hits your bank account, your credit card bills get paid without you having to schedule it every month. In order to maintain your finances properly, you need to have an emergency fund. While repairing your credit, you should be living below your means and saving money. Your emergency fund will keep you from falling behind on any payments and destroying your credit again. The process of building an emergency fund is something that you can put on auto pilot as well so that every time you get paid you're adding more money to this important safety net. Developing a good budget will help you live within your means, allowing you to continue to improve your credit history, and keep it that way. If you can prove that you can live according to a strong budget that you create, then you will keep yourself from falling into this trap again. Drafting a good budget and then living by it every month is a process. Don't let one bad budgeting experience (or budgeted month) cause you to throw in the towel. Start over again because that will mean you're one step closer to getting it right. As you are improving your credit, make sure you use the "snowball" method. This method has been adopted by many financial minds as the best way to pay off debt. The snowball focuses on putting as much money as possible toward one debt at a time. When that is paid off, you can put all of the money on the next debt until you have a veritable cash snowball helping you pay down your debt. Paying off your debt while living within your means will aid you in improving your credit history immensely. The process of repairing your credit history is not extremely difficult, but it does take commitment and discipline. The peace of mind that you get from taking steps in the right direction is very beneficial. The tips and advice you have read in this article will help you start taking steps in the right direction.